Regular dental x-rays, your panorex and dental films display only two dimensions of your teeth and jaws, the height and width. Usually those techniques do not allow one to determine the thickness and/or the bone space very accurately. The CT-3D examination is distortion free. 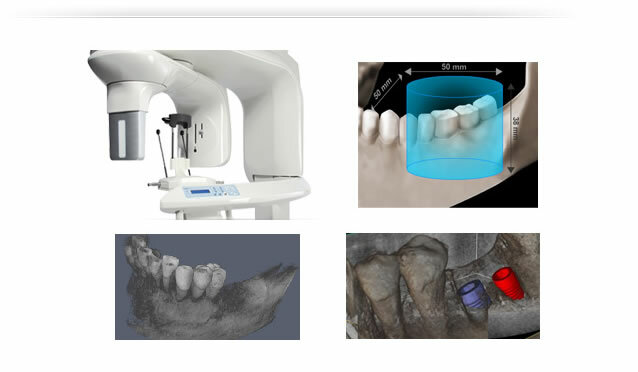 It demonstrates the actual make-up of your jaw bone as well as providing accurate measurements of the height, width, and thickness for placement of the implants. Due to this sophisticated technology we are able to determine ahead of time precisely what will be found during your surgical procedure.